It's the second year of Handmade Helpers (HH) and I'm honestly astonished how much it's grown. Together, we were able to create so many items and surpass what I thought we were capable of donating-- it just goes to show you should never underestimate the power of makers with big hearts! We donated a total of 98 items between 9 people this year, whereas last year we donated 24 items between 6 people. My original goal was to double the number of volunteers, thinking that would double or triple the number of items completed, but it looks like our core group (plus a few new volunteers!) is fabulous all on their own and can deliver an incredibly generous and thoughtful donation to those in need. I'd like to thank @littlecomforts, @moniquelomax, @coreybam, @storyknits, @elphie573, @kitty_sprinklez, and those without Instagram accounts for helping make this possible and donating their time, yarn, and finished objects to a great cause. Thank you all so much! From a young age I believed it was so important to help others when you're able to do so. 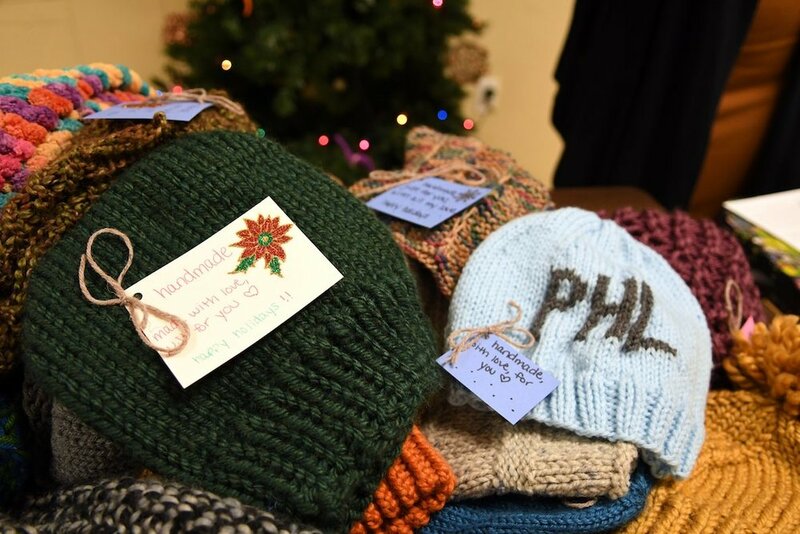 As a child, I volunteered with my mom in our church kitchen to bring hot food to the homeless in Easton, PA. As I got older, I volunteered in other soup kitchens in Bethlehem, PA (hometown shout-out) and Philadelphia, donated clothing to Goodwill, and now I want to make Handmade Helpers a well-known way to reach out to those in need. I've always been passionate about helping the less fortunate, and it warms my heart to know that there are people in my life who are passionate about it as well, so again, thank you all so much for believing in this cause and putting your creative skills to use! If you're interested in getting involved, please sign-up to join our team to bring a lot of warmth and love to someone in need this winter.